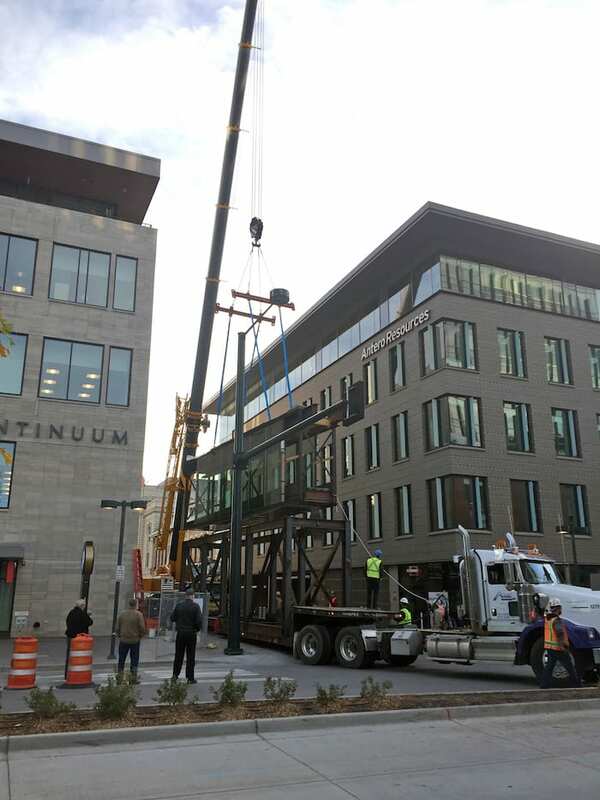 The Antero Pedestrian Bridge is lifted by crane out of a shipping cradle – the bridge and shipping cradle were fully designed by Thornton Tomasetti structural engineers. If you’ve spent time near Denver’s Union Station recently, you may have noticed a new pedestrian bridge spanning two adjacent buildings. Unlike most construction projects, the Antero Pedestrian Bridge was erected quickly in nearly finished form, coming together over the course of a single weekend in October. What took just two days to complete was the culmination of months of effort and creative problem-solving. 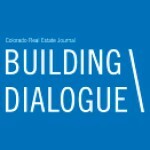 Thornton Tomasetti’s Denver team had designed Block A, a five-story post-tensioned concrete structure that was completed in 2013. Antero Resources, a tenant of One Union Station, the adjacent building, had expressed interest in expanding into Block A under the condition that the two spaces be connected by a pedestrian bridge to create one contiguous office space. This request created a unique challenge. The alleyway – and what would be the project site – over which the bridge would span was the only emergency vehicle access lane for the neighboring Union Station complex. The traditional construction approach for a bridge project such as this would involve blocking off the EVA lane to build the bridge piece by piece over a five-week period. Because the EVA lane must be kept clear, this was not an ideal solution for the city of Denver or the Regional Transportation District. Our engineers proposed taking a different route – assemble the bridge off site and erect it all in one piece, thereby obstructing the EVA lane for just two days instead of the five-week period. The Antero Pedestrian Bridge structure is supported on assembly frames with vertical mullion hangers visible. McPherson Architecture bought our firm on board to provide structural engineering services, 3-D modeling, steel shop drawings, shipping integrity analysis and erection engineering for the Antero Pedestrian Bridge. The erection procedure was complicated by the fact that the design required the bridge to be longer than the width of the alleyway (each end sticks into the buildings by several feet). The architectural vision called for the walkway to hang from the bridge roof structure, as opposed to having two vertical trusses on the walls of the bridge. Due to the structural design, which supported this architectural vision, early studies revealed that the bridge could not sit on its bottom surface during any point in the assembly or shipping. If it did, the light vertical hanger-mullions would buckle. The Antero Pedestrian Bridge was assembled off-site with glazing, concrete floor, roofing and insulation installed. 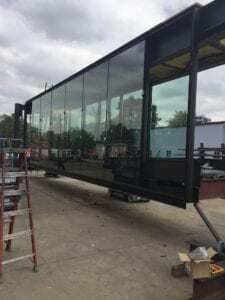 The Antero Pedestrian Bridge project team collaborated at each stage of the project as it progressed from design drawings to an assembled bridge at the fabrication shop. 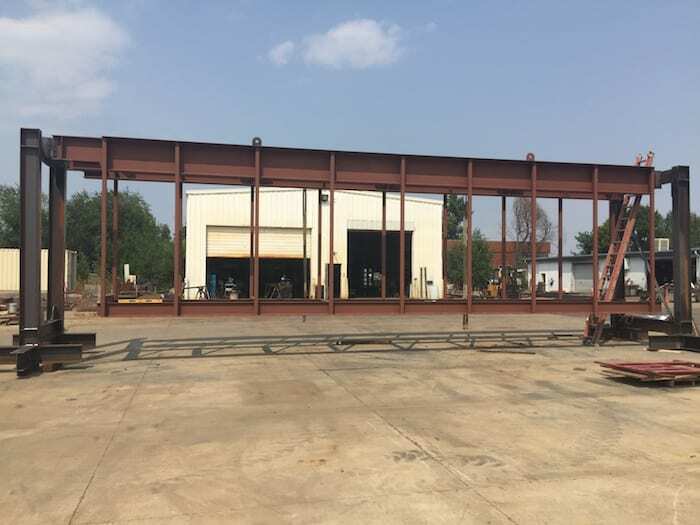 The building owner, Continuum Partners, brought together a project team consisting of Thornton Tomasetti, McPherson Architecture, Aberdeen Construction, Quality Metal Fabricators, Apex Transportation and RMS Cranes. 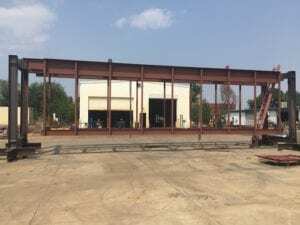 The bridge was shipped in nearly complete form – the concrete floor slab cast, the roof deck, roofing, roof drain piping and glazing panels installed, and a majority of the exterior metal panels in place. In addition to the bridge assembly, we designed an innovative shipping cradle for the bridge that kept it from being exposed to torsional forces while it was being shipped on a flatbed trailer. The cradle design also featured an open top that made it possible for the bridge to be lifted vertically when it arrived on site. The Antero Pedestrian Bridge team saw 10 months of collaborative design and planning come to fruition Oct. 8 as the bridge was lifted into place in one fluid motion. The unique limitations put on this project gave the team an opportunity to stretch its creative muscles and solve a complicated problem in an innovative way.